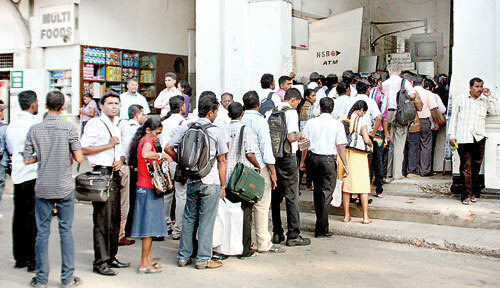 The lack of adequate ticketing counters at the Colombo Fort Railway Station has led to commuters having to wait in long queues on a regular basis to purchase a ticket. Commuters complain that on somedays they miss the train because the queue at the ticket counter is so long. The counters were built during the colonial period and no measures have been taken modernise them or increase the numbers.